Come this year to kwon one of the more famous cities in Dominican Republic thanks to the fantastic flights sales to Santo Domingo of Wamos Air, and show off vacations at the best prices. An historical city and with and great touristic offer is waiting you, so you know that have to do, booking your vacancy with us and go to a fantastic holiday. Get in our website to access at all of our deals! In Santo Domingo you also will have the luck to kwon a great and various historic and cultural patrimony that is impossible that you don’t like it. For that, you just have to take advantage of the Wamos Air sales to this destination and travel at the best price during your next vacations. The Dominican main city waits you this year! The small coastal of Santo Domingo is an authentic delicious for everybody who wants to enjoy vacations with the history and culture of an extraordinary country. Besides enjoy of the beautiful beaches of this place, you can’t lose the chance to kwon face to face the patrimony of Santo Domingo. Kwon the culture and the history of Santo Domingo. 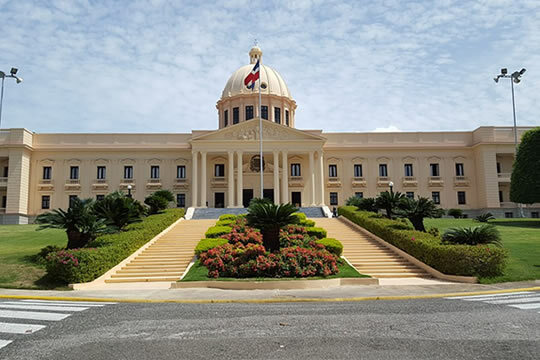 During your visit, we advise you to let fall down to the Colloquial Zone, one of the most famous places of the city and where you will discern the beautiful architectural style that characterise all the Dominican main city. You will make different interesting stops like Iglesia de Nuestra Señora Del Carmen or a la Catedral Primada de América. This tour finish in Plaza de España, another of the most emblematic points in the town, where you will discover built so incredible as Panteón Nacional o el Bastión de San Genaro. Neither you can’t forget the incredible museums that you will find in the city, as can be the Museo Casa Duarte, which exhibit a collection dedicated to its leading figure, Museo de la Ceramica Contemporanea, or Museo de Arte Contemporáneo, among others. We also recommend you visit the Palacio de Bellas Artes, where you will see different cultural shows like theatre, ballet or dance performances. Get your booking at our website and select our cheap flights sales to Santo Domingo. Show off this year with the vacations of Wamos Air and the flights to Santo Domingo, that you will find it at our website at the best prices. Book now your seats with us and enjoy these holiday with your own. This year the incredible landscape of Santo Domingo wait you thanks to the cheap flights sales of Wamos Air, which ones you will fly to this precious town and kwon all its emblematic points. Enjoy a merit vacations this year and discover a Dominican territory truly amazing. 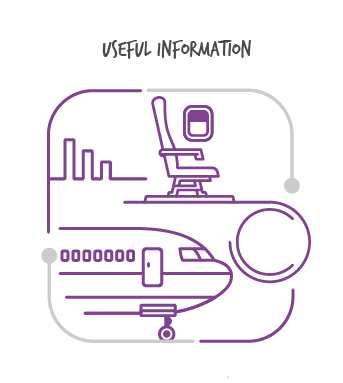 Book your seat at our website and access to the best promotion of the market! As you kwon, the main city of Dominican Republic is one of the most visited destinations of the country, because of its tourist offer, among we can stand out its amazing natural landscape, which ones you will have the pleasure to kwon in you city tour. Get your flights now to live this experience face to face! 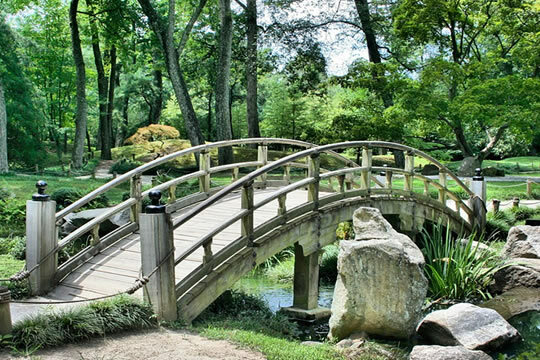 Japanese bridge inside Botanical Garden. Between the landscape that we advise, you will find the famous caves Los Tres Ojos, which it’s situated in Parque Mirador del Este, where you will discern a great cave with an indoor lake and four different caves that combine its ways across various passages. You can make numerous tours on boat inside the caves and discover the different parts of its indoor lake. The rest Parque Mirador is also very recommendable to visit and for all its territory you will find dense vegetation that makes beautiful natural views. Neither you can miss your date with the magical Botanical Garden of the city, a great natural space divided in different areas and where you will find all kind of plants. You will visit a herbalist, Ecological Museum or the Arboretum, where it’s situated more than 1.000 different tree species. If this year you want to discover the great natural beauty of this precious destination, you just to choose the sales flights to Santo Domingo that we have for you in our website, and enjoy your next vacations in this marvellous city. 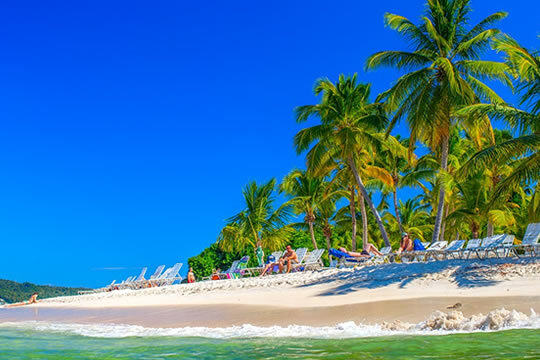 If you are a sun and beach lover and you want to kwon the Caribe without exception, then you don’t have another chance that get the cheap flights to Santo Domingo that Wamos Air has prepared for you and come to enjoy its magical beaches. Book with us now, and discover the magnificent littorals of this beautiful city. 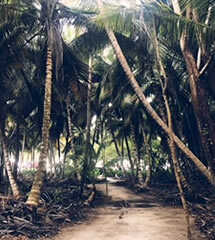 Although Santo Domingo was a small city, it stands out to has with an attractive beaches that you will love to kwon. Take a bath in the best water of Caribe and show off vacations this year visiting the main Dominican city. The best littorals of the city. Allow yourself the luxury to discover the coast zones so beautiful like Playa Montesinos, undoubtable the most famous of the city and perfect for travel with kids, because is a quite area and ideal to enjoy in family. Neither can you lose the visit to regions like Güibia, a small littoral, but perfect to enjoy with one of the best Caribe’s views, or Punta Torrecillas, that stand out for be the biggest beach of Santo Domingo. Close to Santo Domingo you also will find beachy zones that we advise to know, like Boa Chica, a little village which has one of the most beautiful littorals of the country, or Playa Guayanacanes, which finds in the next village, Juan Dolio, and also you will love it for its Caribbean beauty. Other interesting visit is Playa Caribe, a lovely cove worthy to discover together your own. Choose between our flights sales to Santo Domingo and sow off vacations this year! Come to enjoy of the best sun and beach tourism to the precious city of Santo Domingo with the cheap flights of Wamos Air, and discern this Caribbean territory at the best price. To enjoy this year a fantastic vacations with kids to Caribe, nothing better that do it with the flights to Danto Domingo of Wamos Air, which ones will go to one of the Caribbean cities most important of this region. You already kwon, come to enjoy a unique holiday together your family. Kwon the precious main city of Dominican Republic with Wamos Air at the best prices, thanks to its cheap flights to this destinations, which will allow you travel with kids and enjoy with your own in this enviable town. Book your seat with us! Pass your vacations with kids in Santo Domingo. 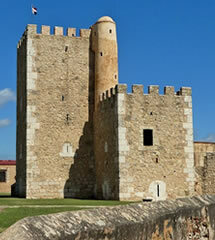 In Santo Domingo you will have numerous options to whole the family which pass an entertaining days with kids. For example, we advise you that go to make some excursions that you can practise in the surroundings of the city, like the visit to Los Tres Ojos, a natural space formed with lakes and caves that surprise everyone. Other visit is to the city’s zoo, situated in the botanical garden that you will love to kwon. Neither you can miss the stop in the aquarium that its find in the same zone. 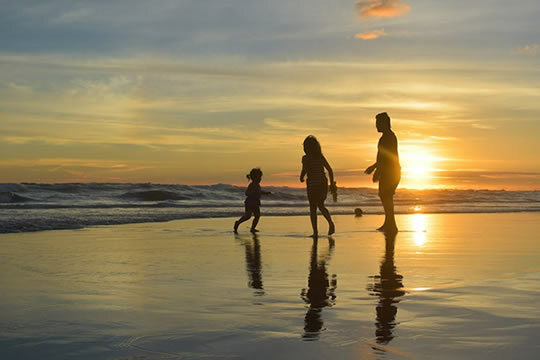 We also recommend that pass a great day with kids on the city’s beach, where you will find different recreational zones or do sports in family like windsurf or kayak. 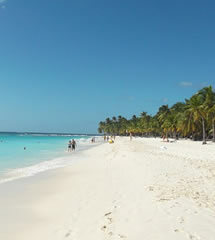 Besides, you will rest taking a sunbath in the magical coast of Santo Domingo. The museums or the Palacio de Bellas Artes are also fantastic places for your own learn more about the Dominican culture or go to traditional shows dedicated to the children. Discover the best flights sales to Santo Domingo in Wamos Air. To finish, for all the city you will find idyllic regions to kids like parks or entertainment zones for children inside the shopping mall, like cinemas, restaurants or ice-cream parlour where you can taste the typical ice of Santo Domingo. The precious city of Santo Domingo, main city in the exotic Caribbean destination of Dominican Republic, is situated at the south of the island and it’s one of the towns more famous and visited by the tourist in their stop for the country. Now you will visit it together your own in a fabulous vacations thank to the cheap flights to Santo Domingo that you will find in Wamos Air and start your trip to this city at the best price. In your vacations for the city, you will kwon the cultural aspects more traditional of Santo Domingo visiting its Zona Coloquial or the Plaza de España, both are two of the most concurrent places in the city, and where you will have the pleasure to find the most incredible restaurant and bar where you can taste its delicious gastronomy. During your holiday in the city, you will also enjoy the amazing nature places as gardens, naturals parks, besides truly beautiful beaches that show the iconic characteristics of the Caribbean Sea. 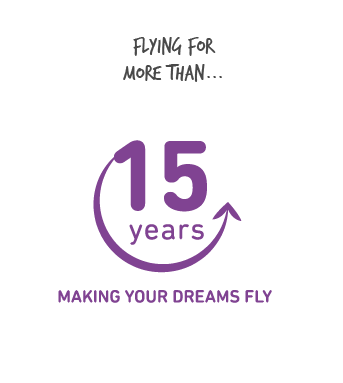 All of this you will enjoy it thanks to the deals and discounts of Wamos Air. Neither you can lose the visit to some of the museums that there are in the city, and which you will discover more about the historic and culture of the country. 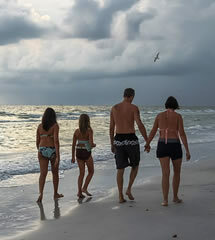 In addition, if you pass your vacations with kids, we advise you that let fall down to the zoo or aquarium, where you will have an entertaining day with your family. The best flights to Santo Domingo are in your hands with Wamos Air now. 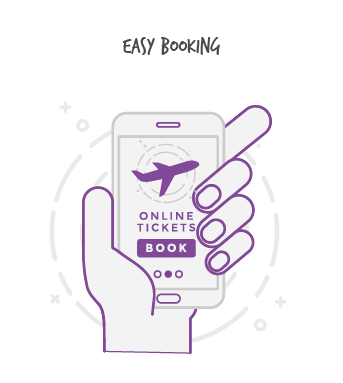 Book your seats with us and access at the more incredible cheap flights sales in the market. Don’t lose the time and come to enjoy vacations that you will always remember. The incredible city of Santo Domingo is waiting you this year, so that you kwon the truly Dominican atmosphere with Wamos Air.